← On becoming a responsible astrologer: how do you get there? This entry was posted in Astrology: challenges, ethics and practice (11 articles) and tagged Astrology, astrology and ethics, Donna Cunningham, horoscopes. Bookmark the permalink. Hi, Anne, thanks for passing along my article on transits. I should add that I’m aware that many astrologers don’t have the funds to go back to school for a counseling degree. 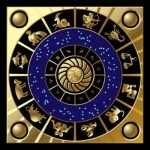 What I would recommend is to read or download tapes from the many astrologers who now do have a counseling background. Also, it would be very practical to read up on vocational counseling and on the types of vocations clients ask about. The US Government site has extensive free information on specific vocations, the job descriptions, and whether those jobs are currently growing in popularity or are less and less in demand. You are welcome! Hope all is well on the other side of the pond. An astrologer recently told me that my father would die this month and I could die in Oct and I should be extremely careful. She told me that I couldn’t move which is what I’m now doing. But she said if I survive 2016 then 2017 would be a great year. She was recommended to me by a very high profile astrologer — who told me in 2004 that I wouldn’t ever marry even though I was in a relationship at that time… he said it was better for me to be alone. 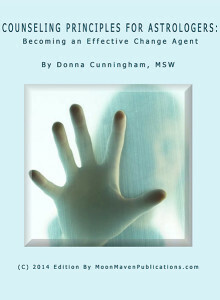 Donna Cunningham is the best astrologer in the world — my best reading ever. I should have gone back to you. thanks so much for your openness in telling us this grim story. This is why we astrologers need to get on the soapbox and shout about the need for ethical practice. Our community is so fortunate to have had Donna Cunningham all those years – and for her to have made so much of her high-quality writing available so that we can benefit from her common-sense wisdom, humour and compassion. I am so sorry you have had such bad experiences…. Many thanks, Carole. Very much appreciated!